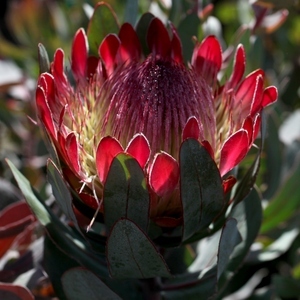 Welcome to our page about the plants in the Protea family, Proteaceae. 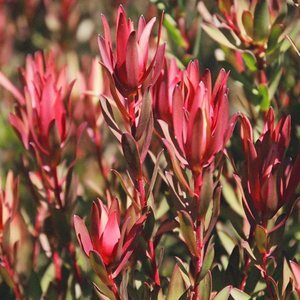 This page has links to the database entries for all plants in the familythat we grow and also features articles and and links to other sites that have information about Proteaceaes. 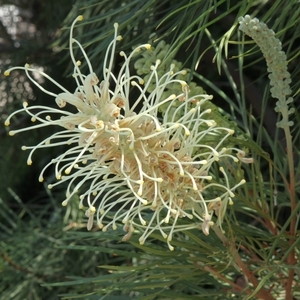 Except where indicated, the information is written by our staff horticulturist Randy Baldwin. 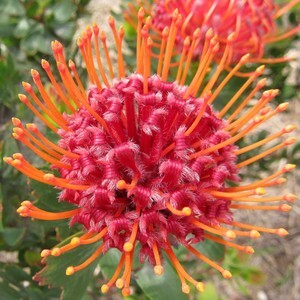 The Proteaceae at SMG All plants in the family that we grow!